Charlie Gray ‘16 left his job working as an analyst for an economic consulting firm in San Francisco to earn his MS in Economics at Drexel LeBow. After he officially graduates this month, he will be heading to Yale University for a two-year stint as a statistician/pre-doctoral fellow, assisting Zack Cooper, PhD, who does research into health economics at Yale’s Institution for Social Policy Studies. Specifically, Gray will be assisting Cooper with his research into issues including price transparency in insurance markets. Of his time at LeBow, Gray says his favorite classes were mathematical economics and public finance, and that the professors here are “great, solid teachers. He plans to pursue that degree after finishing up his fellowship. 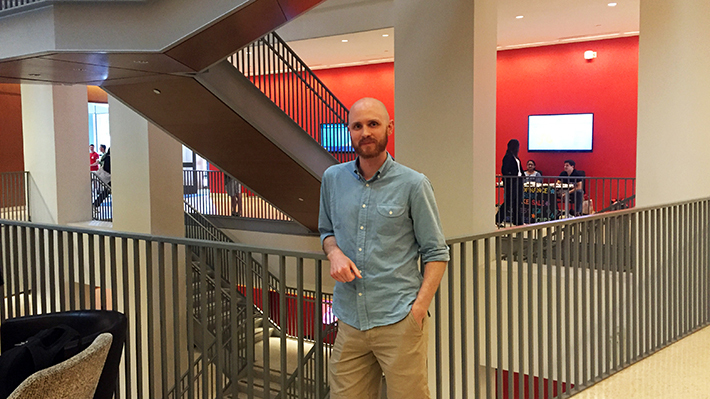 MS in Economics Alumnus Charles Gray will be joining Wharton to continue his anti-trust research in the health care field. Senior entrepreneurship major Christopher Gray and his startup, Scholly, sparked quite the fight on Shark Tank. A native of Shenyang, China, Jarvis Zhang advises fellow international students on living and learning in a foreign place.